Thrive! 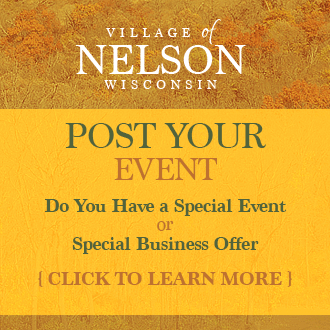 Park is a new public park of the Village of Nelson and was donated by Gary “Chris” Christopherson. It is one of two public parks in the Village. The other being the Castleberg Park and Brommer Ballfield. 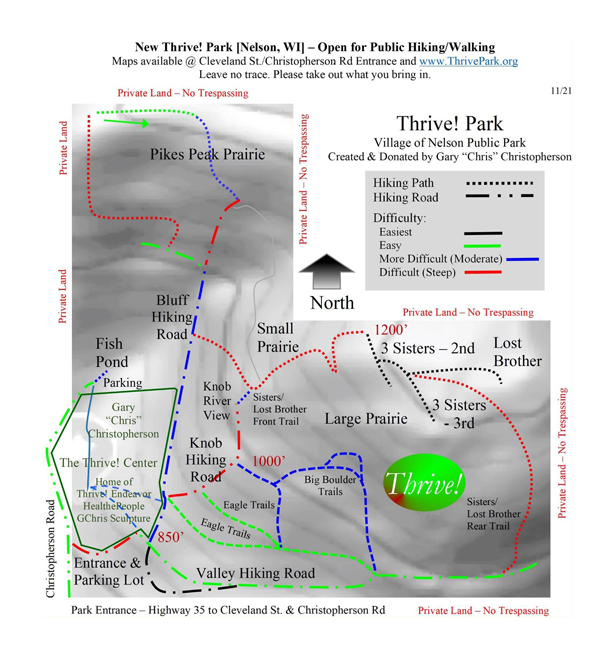 As shown on map [See Park map], the Park consists of hiking roads (going along bluffside and back through valley). Also, there are several hiking trails that go to restored bluff and prairie areas and can be accessed off the main hiking roads. Signage in the Park serves as guides to roads and trails. No hunting or trapping is allowed since this is a park and wildlife safety area. No vehicles (motorized or non-motorized) are allowed except for handicapped access.